I originally wrote this and posted it about a year ago. Christmas really is all about making memories and this year, I get to add another special stocking to the collection. This is will be for my brand new grandson Cohen – and even though he is only 2 months old, it is important for me that he has his own stocking for his first Christmas. So – don’t worry so much about finishing your shopping – make something special for your family members , something that will make memories for a lifetime. Almost 40 years ago, I made Christmas stockings for my two boys. 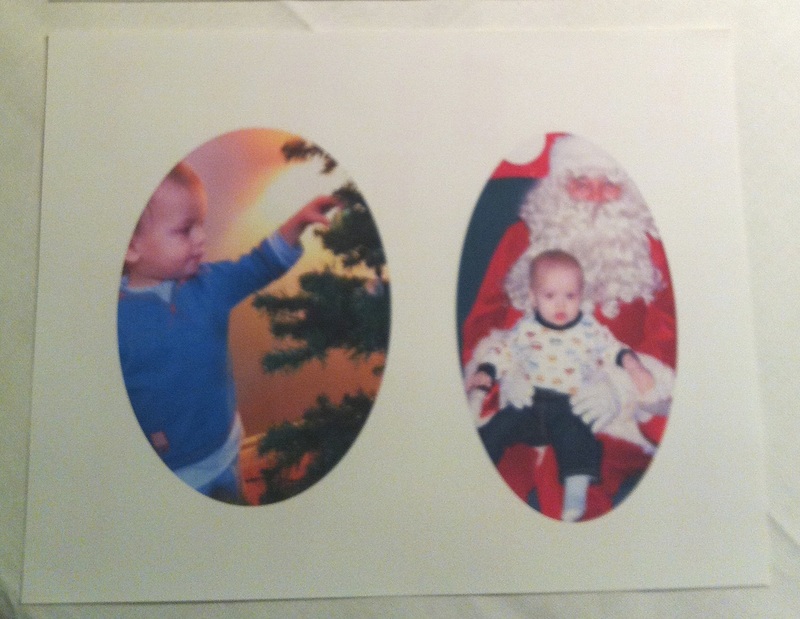 The older one – Dusan – was just little over 2 years old and the younger one – Daniel was only 6 weeks old at the time. I made the stockings form couple of pieces of red quilted material, trimmed them with white and embroidered their names on it. We hang those stockings up every year – no matter where we are. and as the boys got older, the added tradition was to fill the stockings with little goodies and a large Toblerone bar. And as the years went by, I added stockings for new members of our family, When Dusan got married, “Kara: stocking went up, When Daniel got engaged to Nicole. “Nicole” stocking was added and when Abbie got engaged to Dave, “Dave” stocking was another addition. But the best and greatly cherished addition was the stocking that has “Jax” on it – that one is for Dan and Nicole’s son – our precious grandson Jaxson. And that stocking is about 3 feet long and it fill our hearts with joy to try to fill it for him. Sounds simple and normal – I know that lots of people do this or something similar. 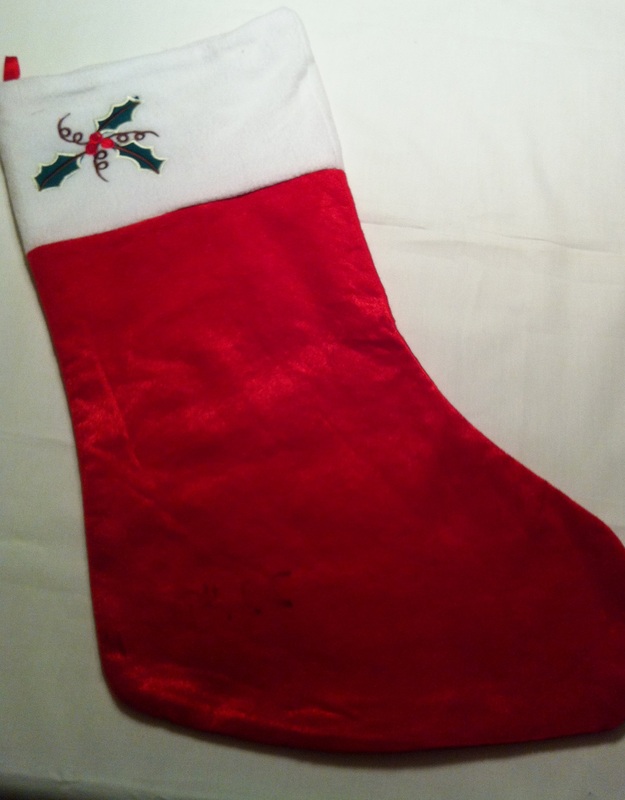 But for all of us, one of the stockings became a very special Christmas memory. Dusan died tragically in a car accident in February 2010 and the first Christmas without him was very, very difficult. But that little tradition of putting all our stockings up became even more important. Dusan’s stocking just had to be with us – it was almost as if he was too. 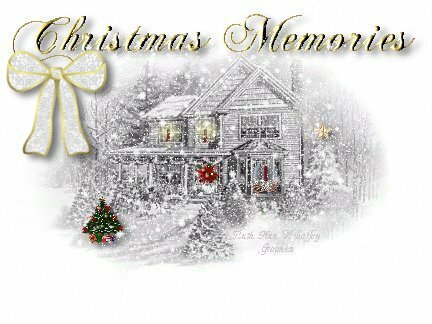 And now – there is the second Christmas without him – and it is now time to start another tradition. . Last week, Daniel asked me if I would make a stocking for Jaxson, one they can put up in their house – just like I did for him and his brother. That made me feel so very, very good – it meant that the Christmas traditions I started are very special and Daniel wants to make sure they continue. I made a special stocking for Jaxson and added two more – one that says “mommy” and another one that has “Daddy” embroidered on it. 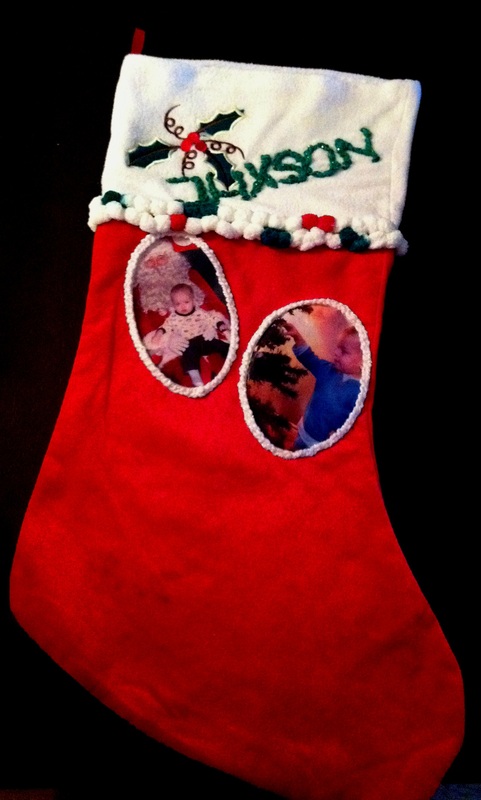 Maybe you want to make a special stocking that will start and very special memory for you – so – I am sharing what I did. 1. Instead of making one from scratch, I bought a plain – and large – red and white stocking. 3. The special design I wanted to make was to start putting Christmas pictures of Jaxson onto the stocking and adding new ones as he is growing up. So far – I had two of them and the way I did it was to create fabric transfers that I could put a nice simple border around and attach them to the stocking. Making your own fabric transfers is not difficult – you will need transfer sheet you can buy at any store that sells office supplies and follow directions on the package. Cutting out little notches in the fabric helps when you need to fold the fabric to edge the picture – it won’t bunch up on you. 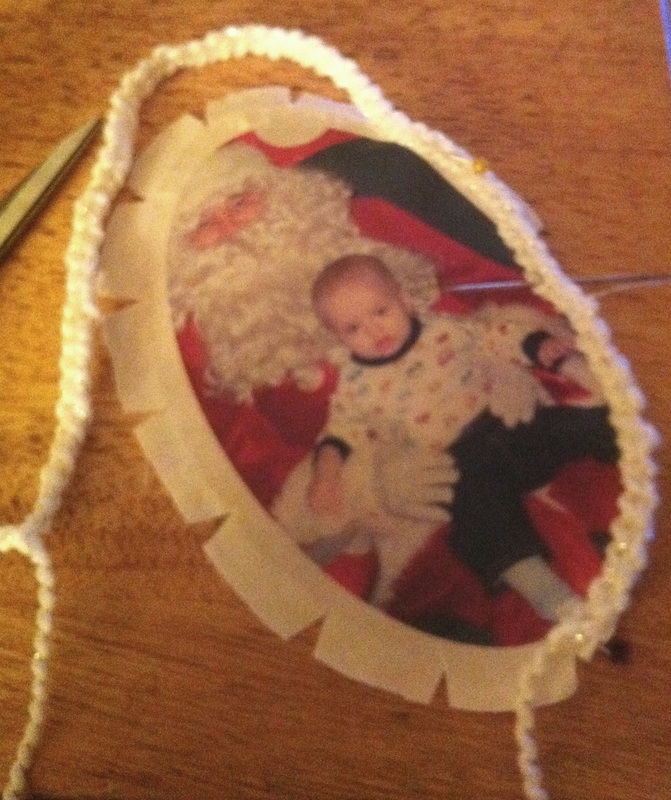 I trimmed the picture with a crochet ribbon – easy to make from a pure white material that has a gold tread in it. 5. I decided to add a pretty trim to the stocking, between the white and red part – again just a simple crochet from fun material that is easily purchased from a craft store. You can buy ready made trim of your choice and tack it on with either small stitches or fabric glue. There are a lot of fun materials you can work with available – the one I used here is a yarn made of different colour little balls with pieces of yarn in between. As you work with it, the balls become connected – fun! 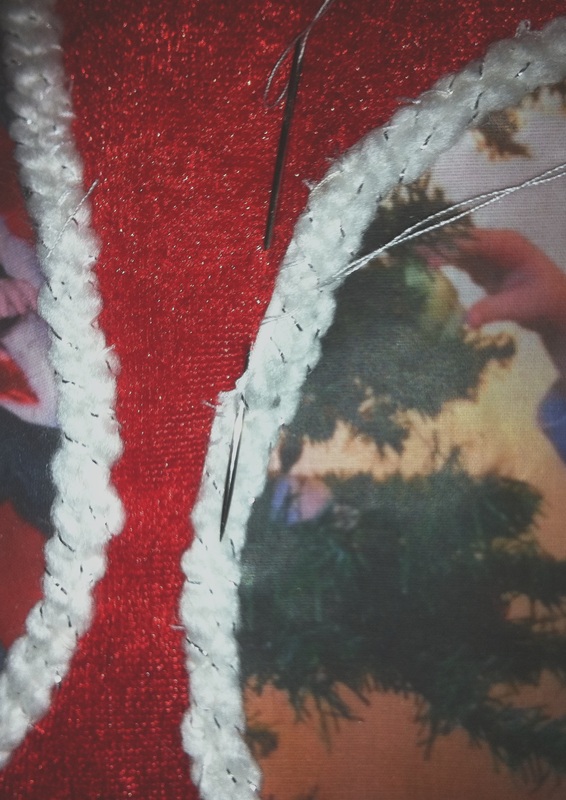 You will need to put a piece of cardboard into the stocking as you are attaching the pictures to make sure your stitches don’t catch the back of the stocking. 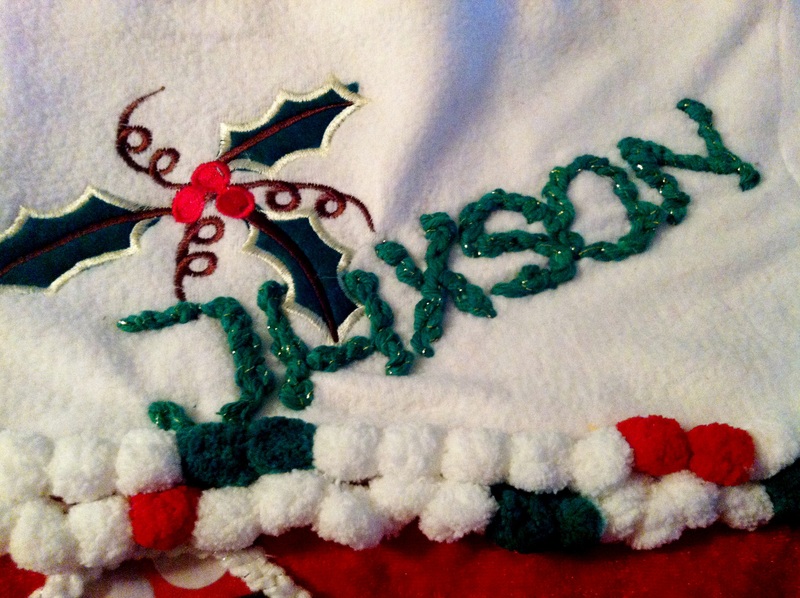 My special stocking now has Jaxson’s first and second Christmas – and next year, I will be attaching Christmas #3 for him. 7. 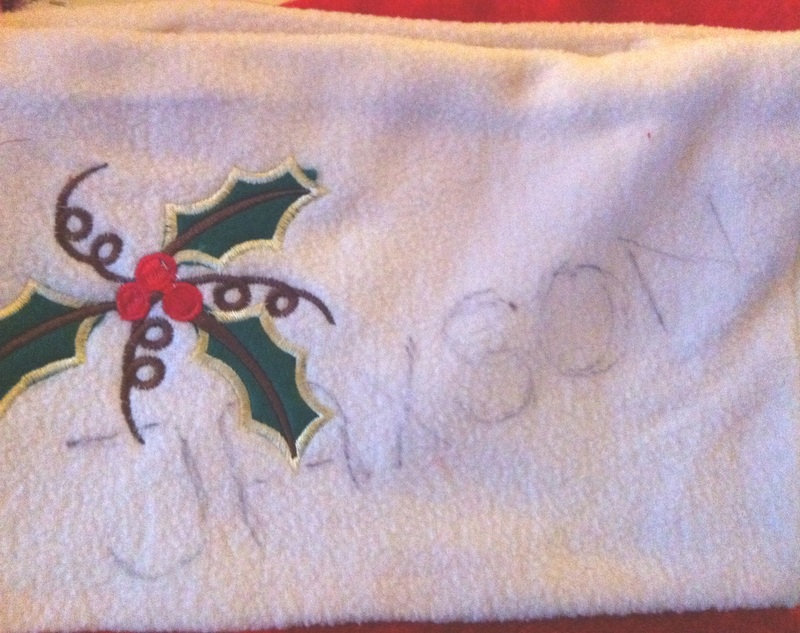 Here is what the stocking looks like when completed – with hopes of lots of special memories to come! 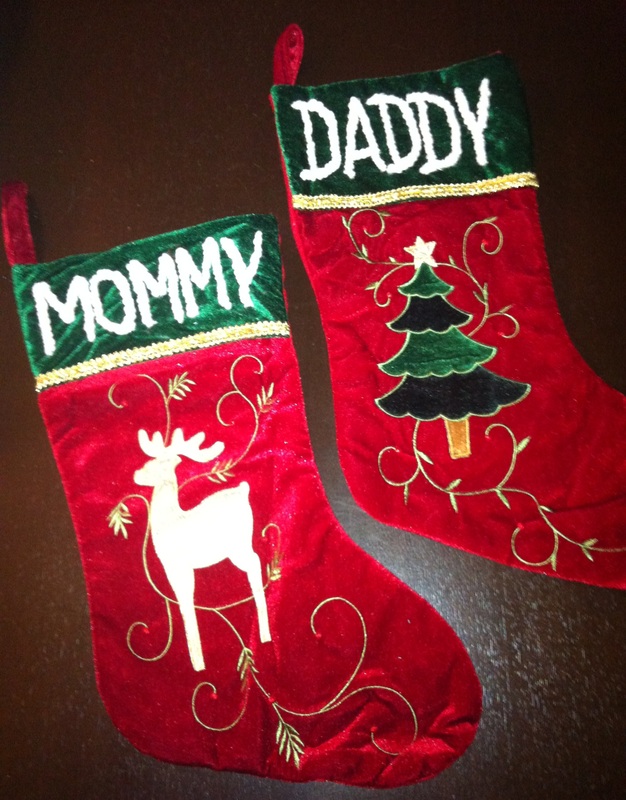 “Mommy” and “Daddy” stockings – because they deserve the special little goodies that Jaxson can put it for them – I know they have been very very good! I hope my personal story will inspire you to take a little time and start creating your very own special Christmas memories. Please send me your comments, suggestions, experiences and pictures – I love sharing with everyone and hope that you do as well!